Tony Stewart, a man looked up with reverence by the auto-racing fans is nothing short of a phenomenon in the world of racing. Known for his ability to win in any kind of racing venue, Stewart set a record for being able to win the Indy, Stock, Midget, Sprint and Silver Crown championships; all in his lifetime. He is still going strong with his stint. As of today, Tony has won a total of twelve racing championships from the day he began racing and owns a team in the NASCAR sprint series with some amazing wins and achievements that racers seldom manage to achieve. Tony seems to have been born with racing in his blood. He won his first ever race, the 4-cycle junior championship at Columbus fairgrounds when he was only 8 years old. Post that, he won an International Karting Federation’s Championship in the year 1983, while still as a kid. With a really long list of championships won in all of his racing Career, Tony Stewart is an aggressive racer who has absolutely no competition in the field. Some of his priceless achievements include winning the All-State 400 at the Brickyard twice, the NASCAR nationwide series six times, winning the prestigious USAC races like the Copper World Classic at the Phoenix International Raceway in 2000 and the Turkey Night Grand Prix at Irwindale.He won the Big Indycar series championship in 1997, but before that, he was already a champion of the United States Auto Club by that time. He had also set a record for winning the sprint, midget and silver crown championships, a record that remains unbroken till date. When the NASCAR team-owning-days came into existence, Tony was as aggressive and skilful at handling a team as he was at racing. 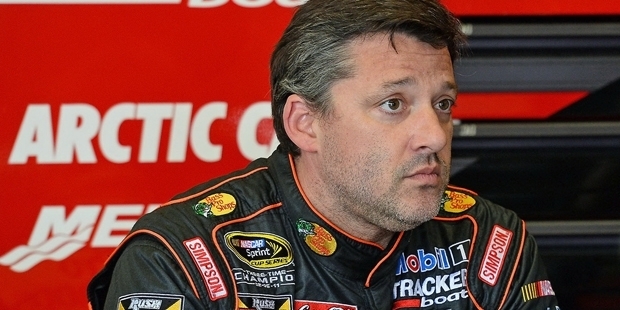 In the year 2000, he formed the TSR (Tony Stewart Racing) that won a whole of a 21 championships ever since. Tony Stewart is also a noted philanthropist who founded a charitable foundation of his own, the Tony Stewart Foundation in the year 2003. He aims to donate to children with serious illnesses, protection of animal species and injured racers through this foundation. From the time it was established, Stewart donated nearly $5 million for the causes. He was also named the ‘Most Caring Athlete’ by the USA Weekend in 2004 and won the NASCAR USG person of the year award for all his charity work. As a racer, businessman and a philanthropist, Tony Stewart’s achievements have been remarkable and one of a kind. People love and worship him not just for the fierce racer that he is but also for the fun-loving and affable person that he is known to be off the track.